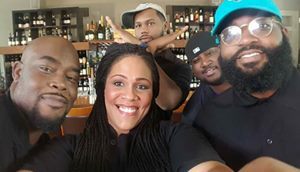 Get the latest details on our upcoming programs and a recap of our events! Chapter 3 of 12! 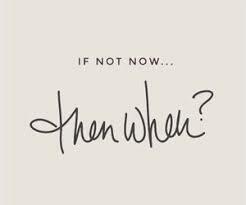 31 Days of Opportunity, Ability To Grow, Create And Expand!!! May the Grace of God Help Us Conquer Everything Our Heart Desires!!! 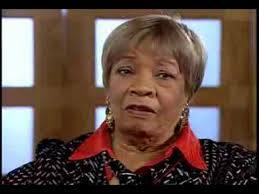 "The National Coalition of 100 Black Women,Inc" was founded in 1971 by Edna Beach, and a group of other dedicated women in New York City. These women were persistent about issues that affected their families, communities, and themselves. By 1981, the Coalition had grown to 900 members in the New York Metropolitan area. As the Coalition gained recognition, it attracted the attention of local and national media. Today we continues to grow rapidly all over the country. Thank you Edna for marching forward with the "The National Coalition of 100 Black Women,Inc" vision in your heart! Here's to the women who have broken barriers, redefine our standards, and ignited the path for decades to come! 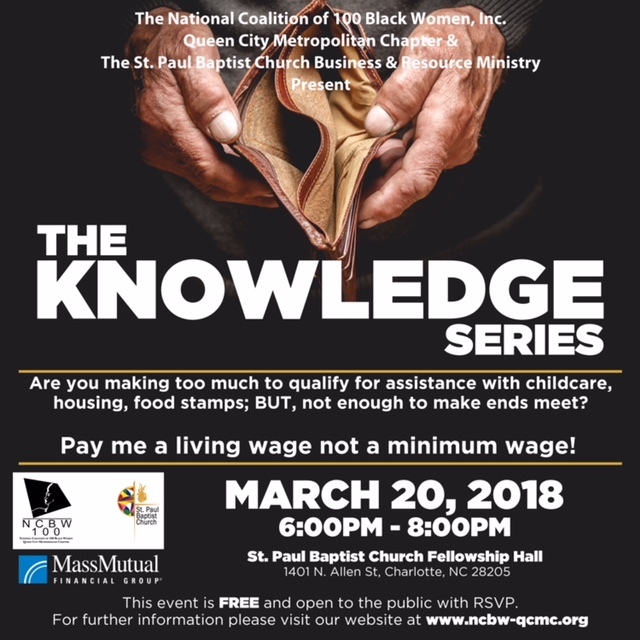 Join the National Coalition of 100 Black Women, Queen City Metropolitan Chapter and St. Paul Baptist Church for the Knowledge Series: Part 4!! Please join us to learn more about financial life events and if you are really prepared to handle it? This event is FREE and open to the public . 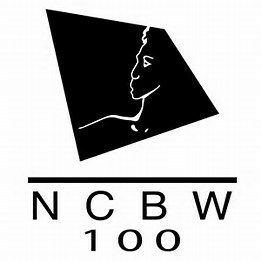 The National Coalition of 100 Black Women is a non-profit women’s organization. Our mission is to improve the lives of African American women and their families by creating programs focusing on family, education, health and finances. The QCMC was chartered in Charlotte, NC on September 20, 2009. 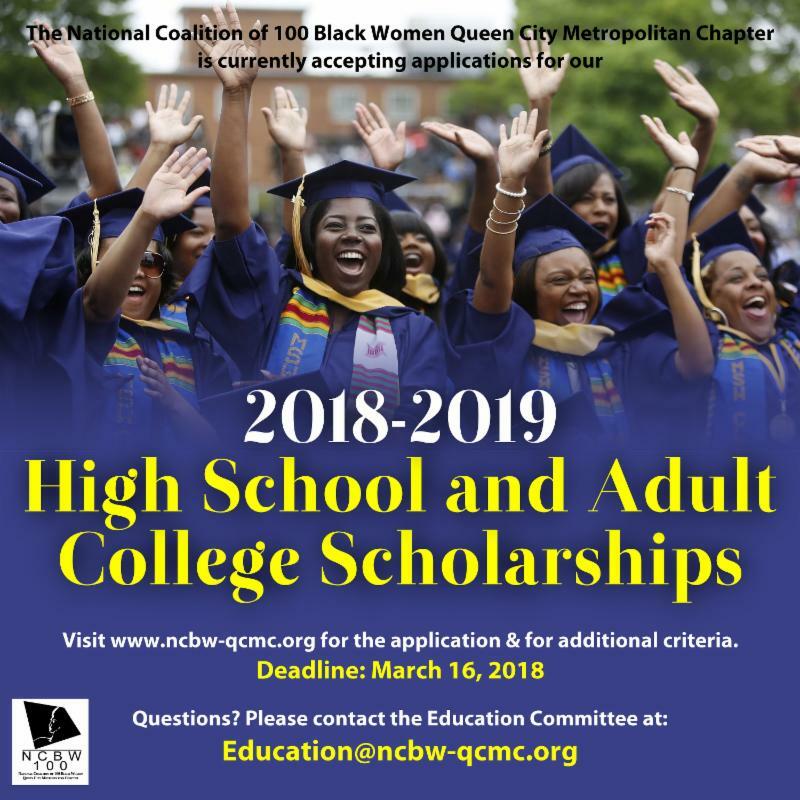 We endeavor to support the community as well as aspiring young African American women by providing assistance and encouragement to further their education. This is a Merit/Need based Scholarship. 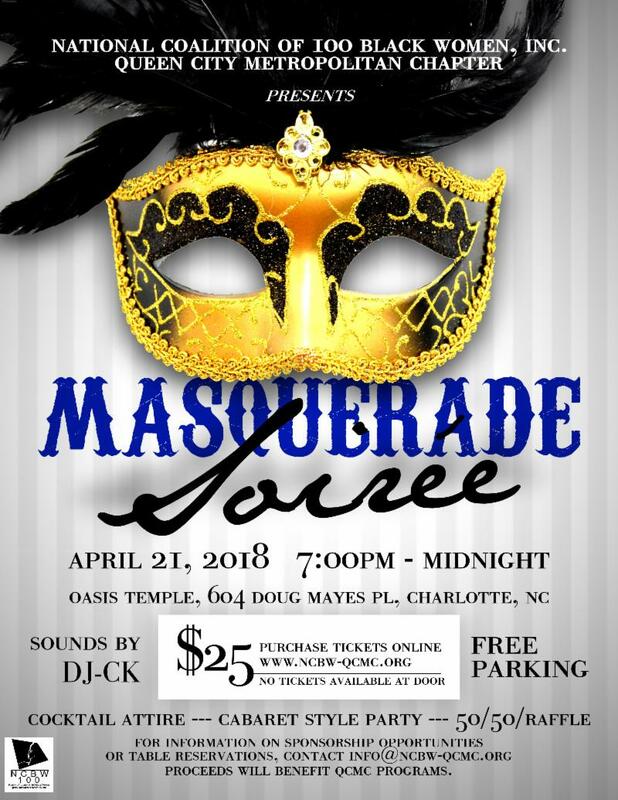 Please join us on April 21, 2018 for our Masquerade Soiree at Oasis Temple from 7pm - Midnight. 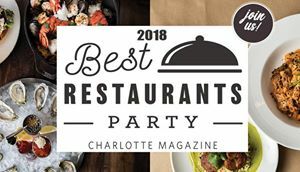 This is a cabaret style event with sounds from DJ CK. Proceeds from this event will help QCMC continue to provide free programs to our community. 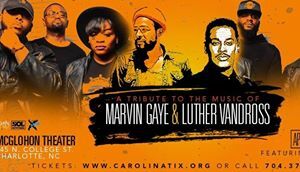 Get your ticket now as we will not have tickets available at the door. Do You understand the process our city uses to develop and evaluate its budget? Join us for the next installment of "The Community Education Series"on Saturday, March 31st, 2018 from 11:00am-1:00pm. This event is free & open to the public with RSVP. 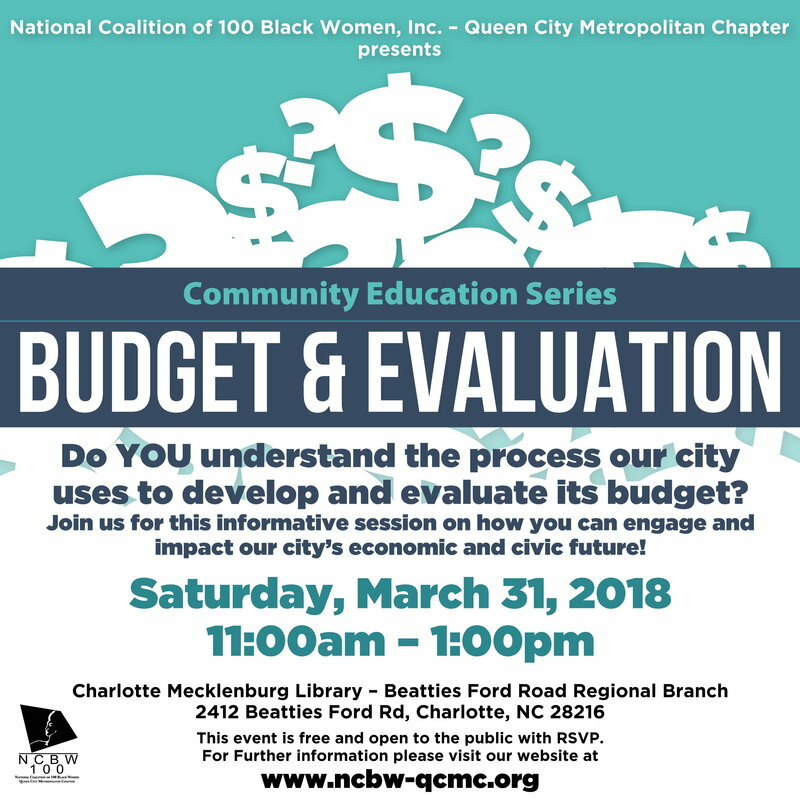 RSVP Budget And Evaluation Series! 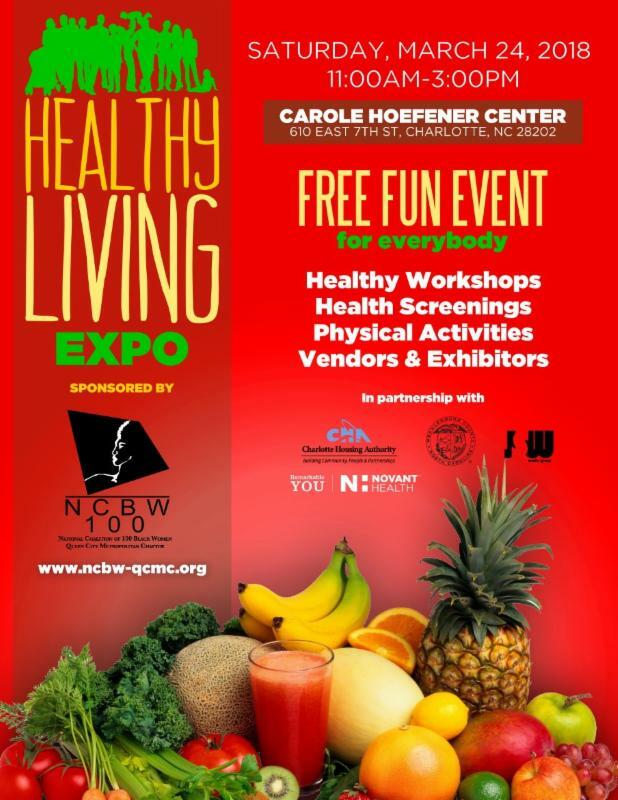 Third Annual Healthy Living Expo! 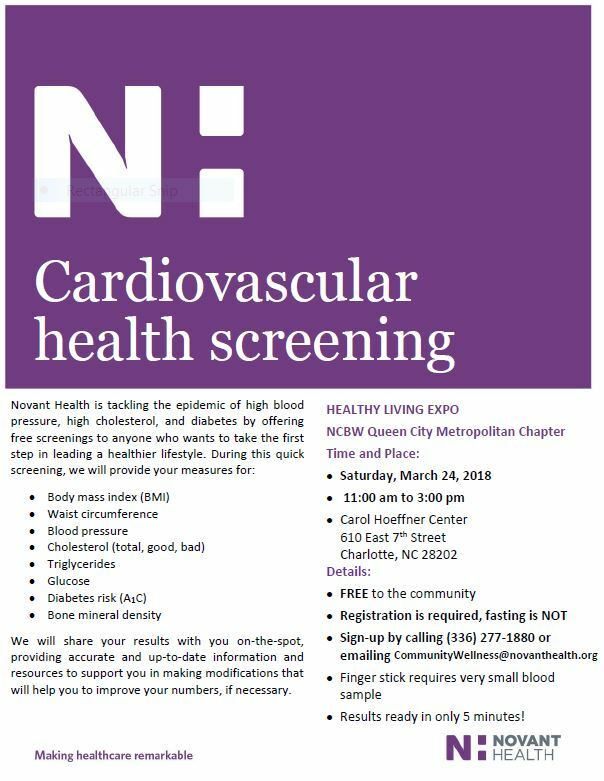 This FREE and FAMILY FRIENDLY event will include healthy workshops, health screenings, physical activities, vendors and exhibitors. Visit our Website for Registration! 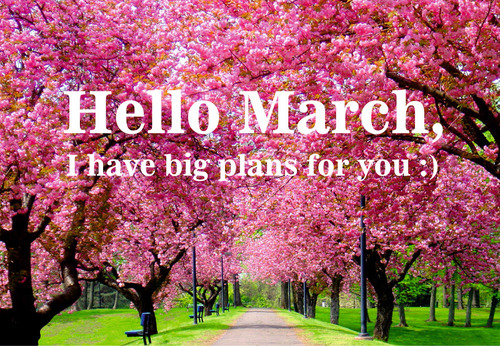 Spring is right around the corner and for many, the arrival of spring means that winter is finally dead for another year, and life will soon be in bloom wherever you look. But maybe we should change it up a bit this year.This new season should be about spring cleaning our life . It's about getting everything organized and setting goals. So this spring,we challenge everyone to make sure you're setting yourself up for success by getting rid of the dead weight in your life. Embrace the people and things that allow you to think positively and love yourself , and cut ties with toxic acquaintances that put you in a gloomy mental state. Even taking little steps to organizing your life will help you reach your goals, because a little can go a long way. A few things you can do to start your spring cleaning! Check in on career goals. 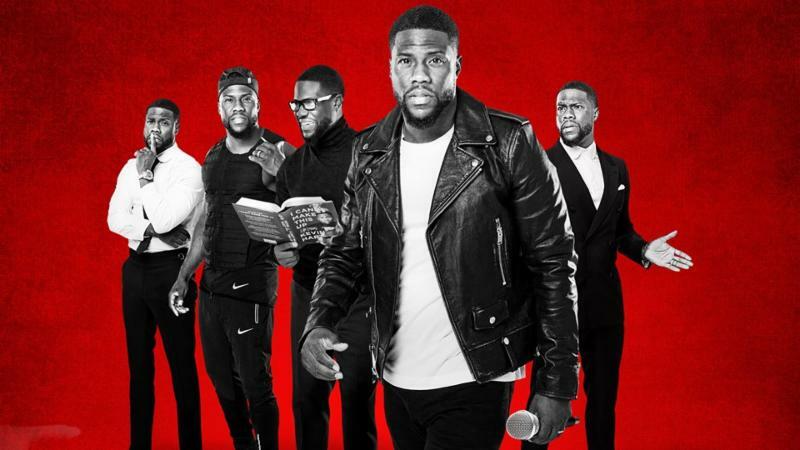 Check over your fiances./ Set yourself a budget if you haven't yet. Unplug- Spend some quiet time alone. 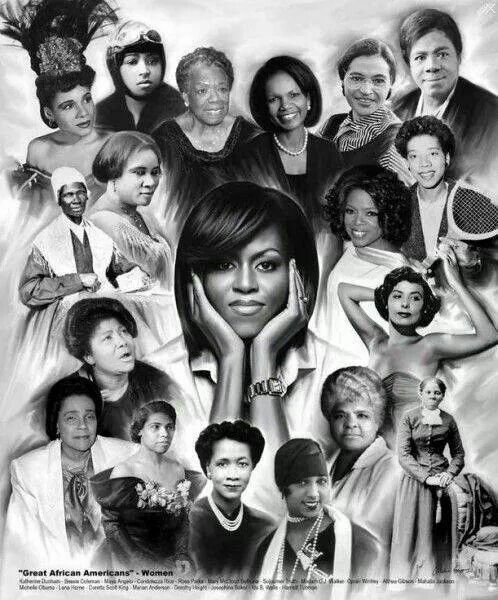 National Coalition of 100 Black Women Inc.